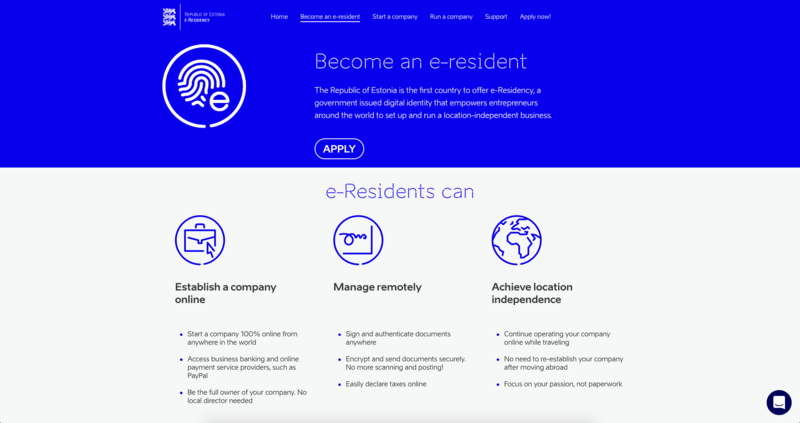 Getting Estonian e-Residency yourself is simple, but setting up an Estonian business yourself isn't. You need to familiarise yourself with taxes, regulations, and your responsibilities. Instead, a local service provider can walk you through every step. Research your options - we don't expect you to take our word on it. We've linked all the best resources in this article, all the blogs, websites, and opinions that'll help you decide if e-Residency is for you. Signing up - once you've done your homework, and decided which provider is the best fit for you, then sign up. 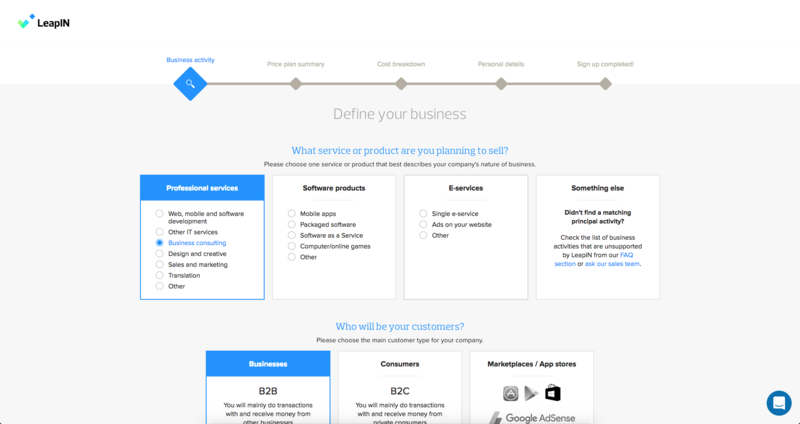 You'll get immediate feedback about your company name, business model, and everything you need to do to get up and running quickly and smoothly. Before becoming an e-resident of Estonia, it's important to fully understand what this means, and what the benefits are. It's also crucial to know what e-Residency isn't. Understandably, the best place to start is the e-Residency website, along with their excellent blog which features updated news stories about the e-Residency program, in-depth guides and how-to walkthroughs. They fully explain what it means to be an e-resident, and why over 41,000 people from all over the world have already taken up the opportunity. They also offer a dedicated page for starting a company with e-Residency, showing all the different service providers and the packages they offer. And if you want to talk to some of those 41,000 e-residents, there's a dedicated Facebook group for e-residents, fans of e-Residency, and the people who run the e-Residency program. This enables everyone to share opinions and discoveries, as well as get their questions answered in a quick and efficient way. Finally, we'd encourage you to take a look at our own LeapIN FAQs, and in-depth blog. Our FAQs don't just cover LeapIN specific questions, but a lot of the questions that first time e-Residency business owners have asked us in the past. They'll also introduce you to all of the features of our product, the pricing, and everything we take care of for you. 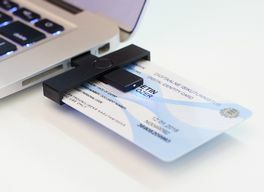 Doing your research and visiting some, or all, of the links above will give you a fuller picture of what e-Residency is and how it can benefit you as a business owner. You'll understand the key appeals of the program, and if you have any questions, you're welcome to contact LeapIN. We're always happy to help anyone with questions, even if they're not a customer yet! One thing you might pick up on, is that the Estonian government offers their own accounting software and company registration options, and promote these. We wouldn't encourage you to use them unless you're good at accounting, and already familiar with Estonian laws and regulations. We at LeapIN have designed our sign up, and company setup processes, with our customers in mind. Everything is made as simple as possible, and we walk you through every step on the journey. We also offer support throughout, so you're never left in the dark, and we'll be there to answer any questions. And that's even for the little things, like how to properly use your ID card, or where you can get a decent coffee in Tallinn. Finally, it's incredibly important when you're signing up with LeapIN, or even thinking about starting a company with e-Residency, that you understand that this is a business. You need to take time to consider your business plan, and why you're starting a company, not simply do this on a whim or for fun. As we mentioned above, applying for and getting e-Residency is part of the LeapIN onboarding process. 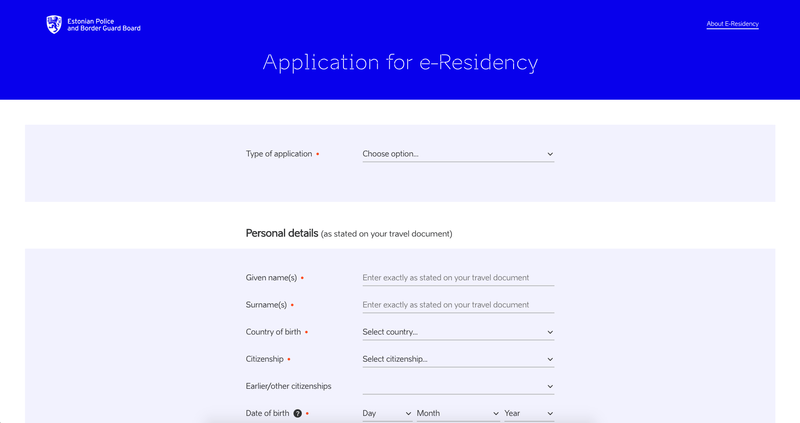 However, you can start applying before you even choose your service provider, and the first step is the application form on the e-Residency website. Once the application is done, it'll take up to 30 working days to receive a response. All being well, this should be an approval, and you'll be able to go and collect your e-Residency starter pack. During the application, you can specify your preferred collection point, which will be one of many Estonian embassies or consulates. Upon collection, your fingerprints will be digitally scanned, and you'll need the same government-issued ID with you that you uploaded previously. You'd presume this is where we'd tell you LeapIN is your only choice, but that wouldn't be true, and maybe we won't fit with your company. So, it's a good choice to look again at the options presented on the e-Residency website, and assess which one is best for you. This will depend largely on your company type, as the services offered vary from complete packages to simple accounting and bookkeeping. There are also services listed that'll help make your day-to-day life as an e-resident a little easier, such as Smart-ID, which we've written about at length. LeapIN is built for location independent entrepreneurs, solopreneurs, and freelancers. We can help you build a single person business, and whilst you don't have to be a digital nomad or strictly location independent, we're a cost-effective option if you are. We offer a full package option, helping you through the company setup process, explaining each step along the way and offering support. Applying for e-Residency can be done as part of this process, or beforehand, as mentioned previously. You'll get to use your digital signatures during the process, and we'll help you through getting a banking account for your company. Once you and your company are accepted by LeapIN, we'll take care of your accounting, taxes and compliance, along with compiling annual reports for you to sign off once a year. Businesses who require a license in Estonia, such as financial services (incl. crypto-currencies), travel agencies, energetics, the sale of alcohol, gambling, and so on. If you're in a business we can't support, or you can see that our product wouldn't suit you, you can use one or multiple other service providers to get your business booming in Estonia and Europe. If you decide that LeapIN is the right choice for your business, then you can complete our free sign up. We'll take a look at the information you enter, and evaluate if we're the best option for you. If we have any questions, we'll be in touch, and we're happy to answer any questions you might have. Once you and your business are approved, you'll enter our onboarding dashboard. We give you an overview of all the steps you're going to go through before incorporating your company in Estonia. Entering your business description - you'll need to describe your business, it's purpose, and how you see it becoming successful. We need it to see if you're a good fit for LeapIN (although if you're at this stage having done research, you probably are! ), and we also submit it to the Estonian Business Registry, Estonian Tax Board, and on your bank account application. Choosing your company name - obviously a big choice, and something you'll have to put some thought and research into. We've even written a blog to help you out if you're finding it hard to pick a great name. Paying state fees and our first month fee - There are two one-off state fees you'll need to pay, €190 to register your business, and €25 for your business' online registration. You'll also pay €49 which is LeapIN's first month starter fee. Digitally signing your application and other documents - This might be your first chance to use your e-resident ID card, and the digital signing capabilities. You need to sign your business registration application, along with a few other documents, before everything is complete. Waiting for your application to be approved - Once everything is done, you'll need to wait up to 24 hours before receiving an approval. This isn't guaranteed, but a rejection is incredibly unlikely at this point. A crucial decision you'll make for your new Estonian business is how you do your banking. There are a few options here, including traditional Estonian banks and modern fintech companies. The three we recommend the most are our partner bank LHV, Finnish company Holvi, and Estonian-founded company TransferWise. We've even compared the difference between the three in an extensive FAQ article. You can take a look at that article if you want the full picture, but here's a brief look at the three of them. LHV is our partner bank in Estonia, offering business banking services to our e-resident customers. As they're a bank in the traditional sense, choosing them does have one drawback - you'll need to visit Estonia for a face-to-face meeting before your account can be setup. 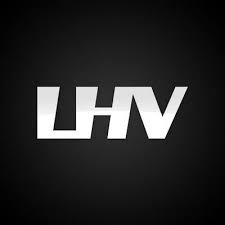 In the long run though, an account with LHV is incredibly beneficial. We're integrated with them, so you'll always be able to see your account balances in your LeapIN dashboard, as well as all incoming and outgoing transactions. They also offer a business credit card with your account, and can receive money in 16 currencies. Also, if you do choose to visit Estonia, we'll make sure your account has pre-approval before you come, meaning your visit to Tallinn could even take less than a day. Fintech start-up Holvi have really embraced the e-Residency offered by their neighbours, creating an account specifically designed for e-residents, with an IBAN and a Mastercard to make your day-to-day finances easy to manage and constantly accessible. Their app and website are beautifully designed, and user-friendly, and they'll help you stay up to date with your incomings and outgoings. Sadly they don't have an integration with LeapIN, so you can't see your live balances on your self-service dashboard, and you'll need to upload your statements at least once a month. 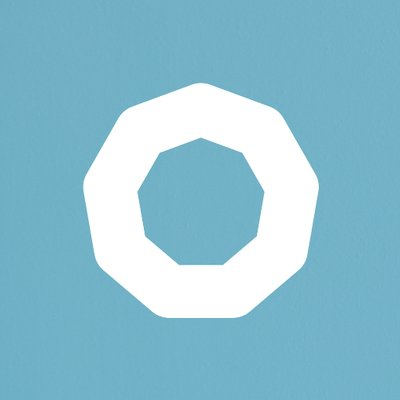 Also, you'll only be able to do business in euros with a Holvi account, but if you're looking to run a successful EU-based business, this might be all you need. And the major benefit of Holvi over LHV is that the account can be set up completely remotely, so no visit to Estonia is required. 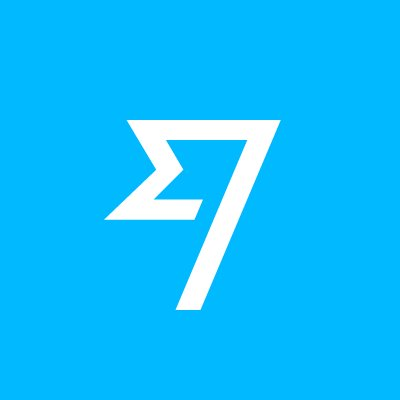 Originally only a money transfer company, TransferWise recently launched their Borderless account, allowing you to hold money in over 40 different currencies and convert between them at a very low cost. The account also offers you the opportunity to have local bank details for Australian dollars, British pounds, Euros and American dollars, meaning you're able to get paid as if you had a local business bank account within these countries (or the SEPA zone for euros). And on top of that, they'll soon offer a debit card to go along with your business account, so you can spend easily in all of your currencies. Once these become available, day-to-day business banking with TransferWise becomes a simple process, and we don't doubt their service will only improve with time. So whilst it's not quite perfect as a normal business bank account just yet, you can sign up remotely, and we'd encourage you to do so. Even if just to use their regular international transfer service, which will save you some serious money. There are your three options, and a lot of the decision boils down to whether or not you want to visit Estonia, but we'd sincerely encourage it. A business bank account with LHV will make your daily business with LeapIN much easier, and Tallinn is a beautiful place to spend a few days if you have the time. After you've signed up, completed your application, got approval, and got your bank account, you can start running your company. 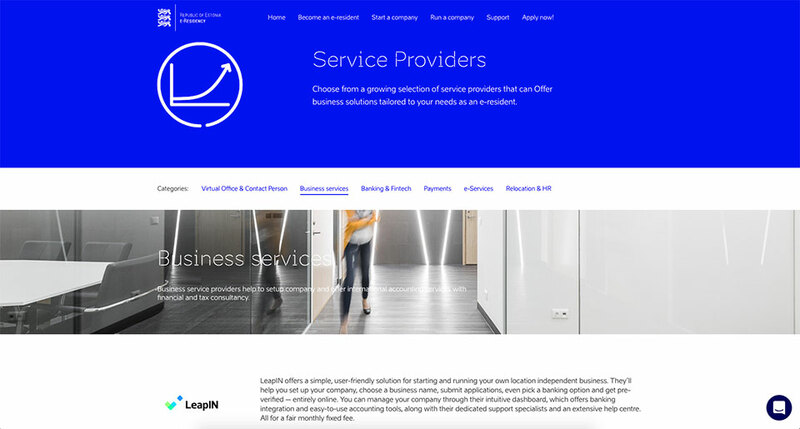 As you've signed up with LeapIN, and we're taking care of the daily administrative tasks, you'll be able to serve your clients more efficiently, without worrying about your taxes or the legal sides of running your business. The first thing you'll get once everything is completed, is access to your LeapIN self-service dashboard. Here you'll also be able to create or upload invoices, to match every incoming payment to your company. Equally, you'll also need to upload any expense documents, matching all outgoing payments you make. If you have business expenses, you may need to explain the expense and why it was necessary, and you can see more information about expenses in our FAQs. If you do choose to create your invoices within the self-service dashboard, it's helpful to know that we'll calculate the correct taxes for you. You're also able to duplicate invoices from previous ones, and choose your customer from a predefined list so you don't need to write everything out every time. Using the self-service dashboard should keep your life simple, and you shouldn't need to use any other accounting software for your company. We try and keep the complexity to a minimum so everything is displayed cleanly and simply, and you aren't in any doubt about your company's finances. We're also always happy to assist with any questions you have, so don't ever hesitate to drop us an email. The same people who'll be assisting you, are the people who run your account, prepare payments, declare taxes, contact you for documents, compile your annual reports, and request your digital signature when needed. The human aspect of LeapIN is crucial, and ensures you receive the best possible service and support at all times. And we're always open to feedback. The work never stops for you, and it never stops for us either. We're constantly looking for ways to improve our product and add new helpful features to our self-service dashboard, so if you have any suggestions, let us know. We want LeapIN to be the best it can be, so you can be even better.